Luxury and free fun can co-exist! Just because you splurged on a luxe beach resort doesn’t mean you have to bust your family vacation budget. 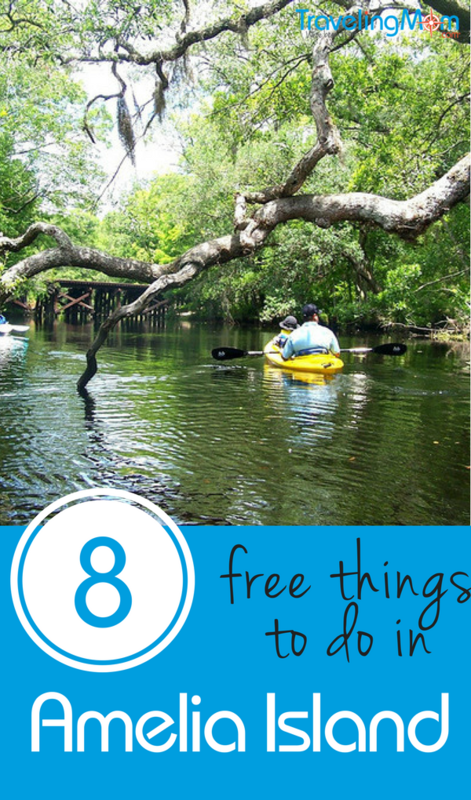 There are plenty of free things to do with kids on Amelia Island–and not all of them are at the beach. Use all that money you save to splurge on a spa treatment. Historic Amelia Island, in Northeast Florida, is close to the Georgia border and has nature preserves at either end. The 13 mile long (by only two miles wide) barrier island is home to two luxury resorts, Omni Amelia Island Plantation Resort and The Ritz- Carlton. But that does not mean that families can’t find plenty of free things to do to fill their days. 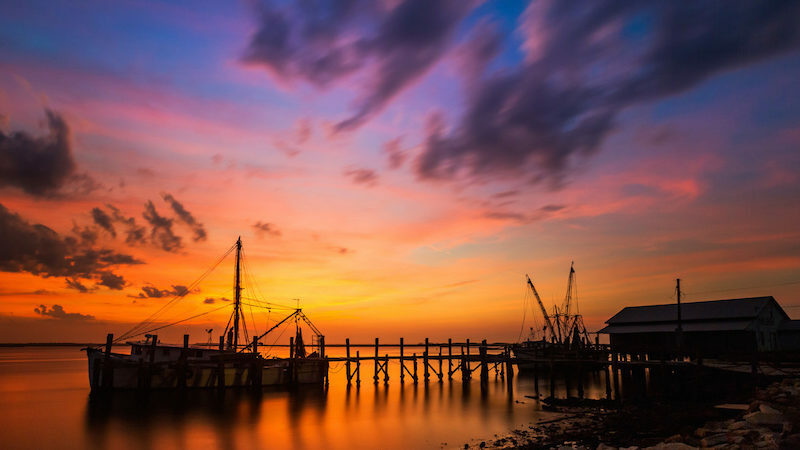 Amelia Island has gorgeous beaches where you can discover natural beauty, search for shark teeth and shells, and take sunrise and sunset pictures to bolster your Instagram following. Beach access is free throughout the island. The main area, downtown Fernandina Beach, is a Victorian seaport village filled with historic buildings, cafes and restaurants, antique stores and boutiques. Foodies rave above the fresh seafood available on Amelia Isalnd, including local shrimp, and the Georgia influence is seen by stands that sell boiled peanuts. Amelia Island also offers more temperature winters and summers than the rest of Florida. It is nowhere near as hot here in the summer, so it is truly a year round, family friendly destination. This beach has everything you need for a day at the shore: bathrooms, outdoor showers, picnic tables and barbeque grills. 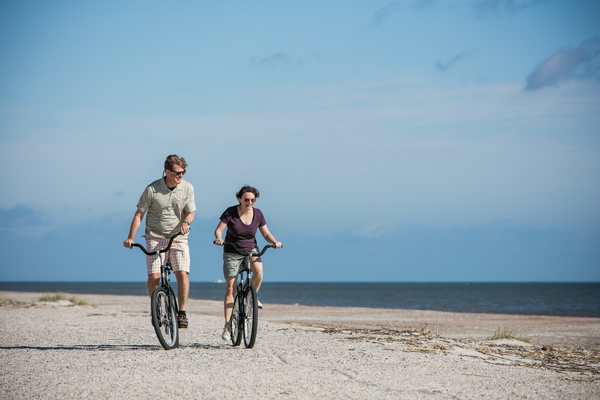 There is a 6.2 mile biking and hiking trail from the park, or you can bring a kite, a beach blanket and a book. 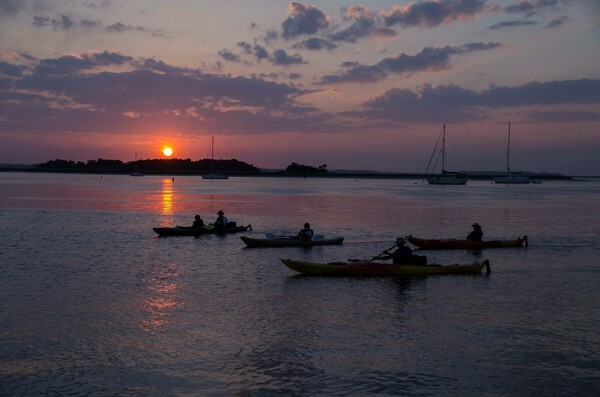 Fernandina Beach Marina, in the center of Amelia Island, is the ideal place to see the sun setting. The centrally located marina is right on the Intra Coastal Waterway and is open daily. Be sure to check the time so you don’t miss a spectacular sunset. Take a nature walk at Egans Creek Greenway. The 300 acre preserve features trails for biking, walking or running and natural wildlife and vegetation. You might see a variety of birds, plus alligators, snakes, bobcats. There are free walking tours to explore the flora and fauna of the Egans Creek Greenway. Walks are held the third Saturday of each month from 9 – 11 a.m. and the fourth Tuesday of each month from 10 a.m. – noon. You can stroll outdoor markets on Saturday mornings. The Fernandina Beach Market Place is open year round on Saturdays, from 9 a.m. to 1 p.m. and features local farmers and food purveyors. The Fernandina Beach Arts Market is held every other Saturday, adjacent to the farmers’ market, and is where you can see arts and crafts from local artisans. Listen to the Sounds on Centre, a free monthly concert in the Fernandina historic district. Sounds on Centre family friendly concerts are from 6 – 8 p.m. in April and June through October. Explore the monthly ArtRageous Artwalks at local art galleries. On the second Saturday of each month from 5 – 8 p.m., galleries throw open their doors and host events with local artists. Art includes photography, pottery, stained glass, painting and batik, and kids are welcome. Sometimes Amelia Island experiences inclement weather. If it rains on your vacation and you are with young children, stop by the Fernandina Beach Branch Library. The children’s room boasts computers, plush toys, reading nooks, and ongoing story times. If you are traveling without children, take a free tour at Marlin and Barrel Distillery. This craft distillery makes rum and vodka and offers free tastes as well as tours. 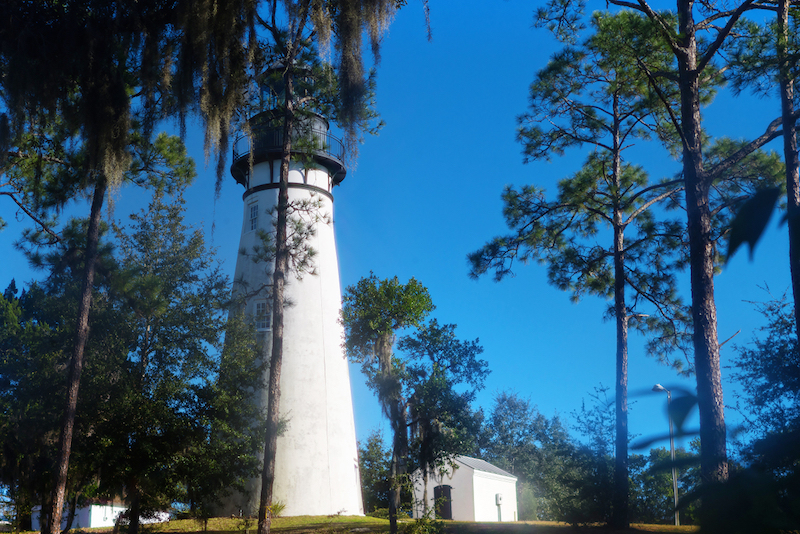 It is located in Fernandina Beach. 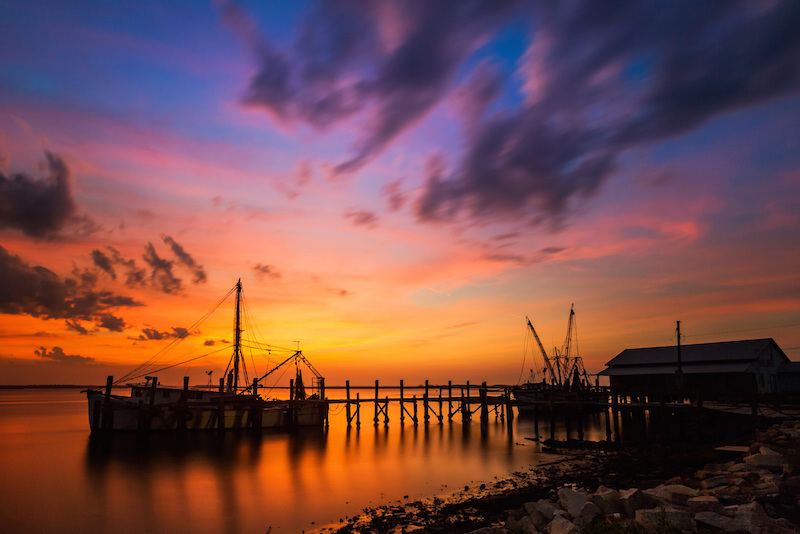 Have you been to Amelia Island? What are some of the ways you enjoyed your vacation?